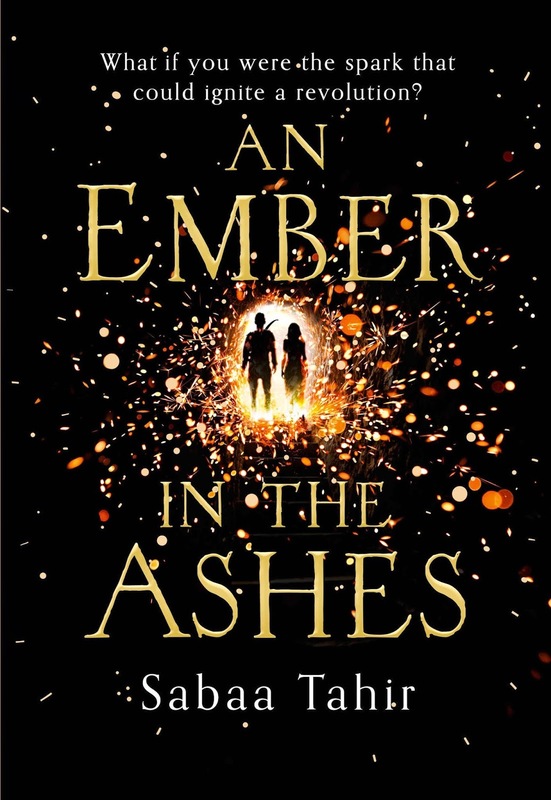 Set in a terrifyingly brutal Rome-like world, An Ember in the Ashes is an epic fantasy debut about an orphan fighting for her family and a soldier fighting for his freedom. It's a story that's literally burning to be told. LAIA is a Scholar living under the iron-fisted rule of the Martial Empire. When her brother is arrested for treason, Laia goes undercover as a slave at the empire's greatest military academy in exchange for assistance from rebel Scholars who claim that they will help to save her brother from execution. ELIAS is the academy's finest soldier-- and secretly, its most unwilling. Elias is considering deserting the military, but before he can, he's ordered to participate in a ruthless contest to choose the next Martial emperor. When Laia and Elias's paths cross at the academy, they find that their destinies are more intertwined than either could have imagined and that their choices will change the future of the empire itself. Vow your blood and body to the empire. Keep your heart for yourself. Much like any other novel, this particular story left me torn with emotions and a hunger to read more. 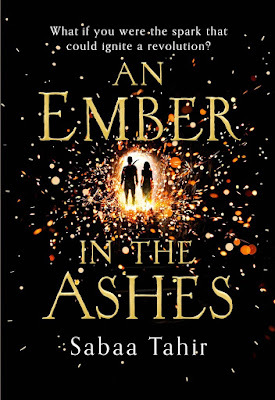 'An Ember In The Ashes' did not fail to impress me whatsoever; from the skill of writing to the character development to almost making me tear up because I felt so bad for some of the characters and what they dealt with. The way this book was written I could easily visualise every little detail of how the characters looked or what scar a certain slave had or where they were in terms of setting. Sabaa Tahir is truly a phenomenal author who I will be eager to read more from. Finishing book one and feeling like there is so much more to the story is definitely something that helps an author stay in business. What I feel after reading this book is a vast range of thoughts and feelings, ones which include potentially being one of those people who will do anything and everything to get the second book as soon as it is released. I'm sure it will be a long and torturous wait. Starting the story off with Laia was the perfect way to show the harsh reality of the world in which it is set. Showing how her brother Darin was off doing things that he couldn't mention and the way she was left at home helping out her grandparents showed a great big picture of the situation without having to actually say it along with bringing up other vital questions which are of course later on answered. Her parents were not around; where were they and what happened to them? Darin was mentioned coming home late holding a sketchbook, something of which he would not show Laia yet he asked her to hide it before the Mask's came and found it; what had he seen and sketched that was so bad that the Mask's came to retrieve it? Things like this in a novel make me really appreciate how much thought the author puts into a story before they write it. It all adds up and makes sense later on. The way Elias' point of view started off was also gave a great first perspective on not only how tough the discipline is at Blackcliff Academy, but also what would happen if Elias did decide to desert like the kid that got caught. Both realities are described effortlessly and it gives the novel an awesome head start. Laia's development from the start of the novel to the end was a tremendous change considering her courage and bravery. Through the hardships that she went through, too many for me to count, she seemed to take these and turn them into a fuel for purpose like they mention in the novel. At first, her only reason for seeking any sort of aid and hope was through saving her brother but I feel like she developed a lot throughout the book and ended up realising that in order to do good and be somewhat of a saviour to her people and the ones she loved, she had to rise up against the odds and snuff out whatever fear she had in order to become the Laia who would stand up for herself and others. Elias I felt didn't have a major transformation in terms of courage or bravery. For him I feel like he more so developed a sense of righteousness in what he really believed in and the fact that Blackcliff Academy wasn't what it was made out to be by the Augurs, Masks and the Empire. His friendship with Helene was sweet and it was a true camaraderie throughout the novel, at some points I even felt like they would have been great together as a couple. Marcus absolutely grated my nerves but I think that was totally the point. You've gotta have the most annoying sidekick for the main villain. This is where I mention the Commandant; that low-life, selfish, wench (the best thing I can say without swearing) never had even the tiniest soft spot and I felt no sympathy for her whatsoever. I think that the disconnection between her and Elias, having no mother-and-son connection, really brought tension and purpose to the novel. I feel like she is the true villain of this novel through everything she had orchestrated and done to her slaves throughout the years at Blackcliff Academy. I have to say that this novel was brilliant and heart-stopping, one of the best debut novels I have ever read and I truly cannot wait to see what is next! I have given this book a 4.5 out of 5 stars because I may not have obsessed over it like I did Throne of Glass, just due to my typical nature of truly loving the typical high/dark fantasy novels with faeries and magic, but this book was just enough to keep my heart pounding and aching for more.